Wholesale Handbags #mw-01 Assorted wallets with crocodile, lizard, ostrich embossed exterior. This is a dozen pack mixed bi-fold, tri-fold, black, brown, tan, etc. The box containing the dozen wallets converts into a counter display. The exterior is 100% genuine leather, the interior is man-made leather. 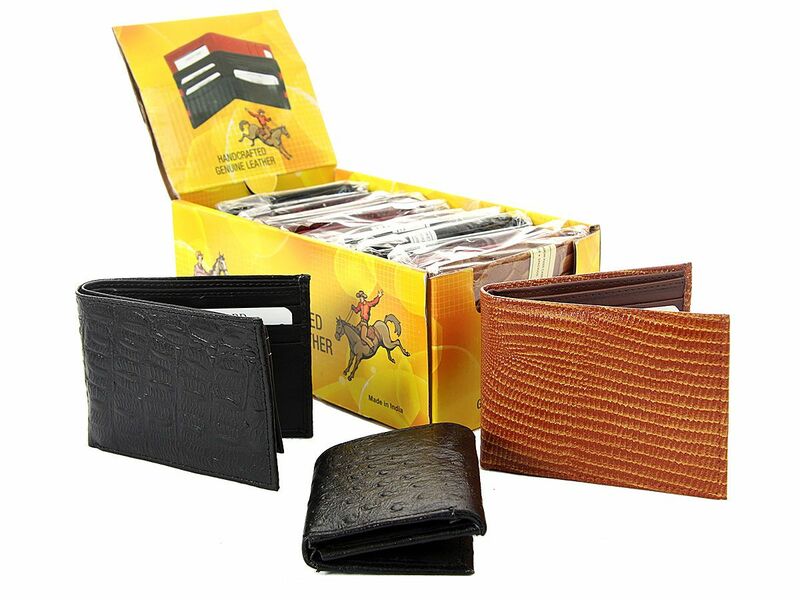 Assorted wallets with crocodile, lizard, ostrich embossed exterior. This is a dozen pack mixed bi-fold, tri-fold, black, brown, tan, etc. The box containing the dozen wallets converts into a counter display. The exterior is 100% genuine leather, the interior is man-made leather.